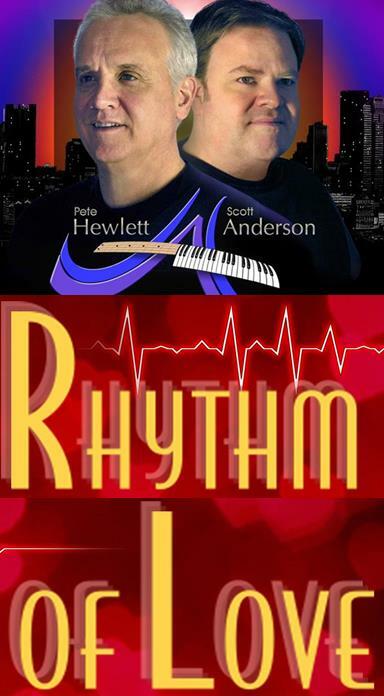 The Hewlett-Anderson Band: Rhythm of Love - Events | Visit Butler County Pennsylvania! Fresh on the heels of their triumphant 'Live from Studio A Holiday Jam' at the New Hazlett Theater, Pete Hewlett and Scott Anderson are ready to turn their focus onto a new, holiday-themed event that you will ONLY find at The Strand! The Hewlett-Anderson Band's Rhythm Of Love concert arrives the weekend before the holiday that's all about love! Pete & Scott, along with their top-shelf band-mates, return for this musical showcase featuring a wide and eclectic mix of music that celebrates the one thing we all seek. Don't expect two hours of ballads, though! Pete and Scott are already hard at work developing a set list that will be fun and full of energy!